You may recall the tragic Comair airplane crash in Lexington, Kentucky in 2006. The plane crashed after taking off from the wrong runway, killing 49 of the 50 people aboard. A federal judge Tuesday unexpectedly moved up by four months a trial to determine fault in the crash of Comair Flight 5191. In a hearing in federal court, U.S. District Judge Karl Forester set an Aug. 4 trial date for 29 families who have sued Comair over the August 2006 fatal crash at Blue Grass Airport. There is plenty of blame to go around. The plane took off on a runway that was far too short for the aircraft. There was a construction project going on at the airport at the time and the maps the pilots had were not up to date. 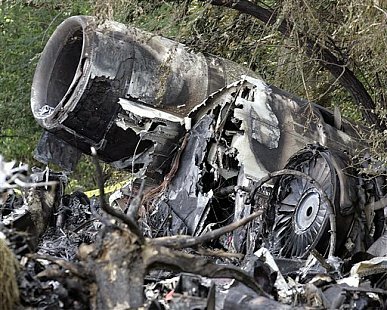 The National Transportation Safety Board found that the probable cause of the crash was pilot error. Comair, meanwhile, has sued the Federal Aviation Administration and Blue Grass Airport. It is appealing a ruling that the airport is immune from lawsuits because it is a government entity. Kentucky law has been harsh to the families of the victims. The judge has ruled that those who lost loved ones in the 2006 crash of a Comair plane aren’t entitled under Kentucky law to sue the airline for loss of companionship. Kentucky is among four states that don’t allow jury awards for loss of companionship by surviving spouses. There also is no state provision for companionship damages for adult children or their parents, although the state does allow children younger than 18 to sue for damages when a parent is wrongfully killed. Comair requested a trial date in 2010. Delay is a typical tactic by defense lawyers. But, fortunately, with the judge’s pushing the trial date up to August 2008, the families of the crash victims will see justice sooner.